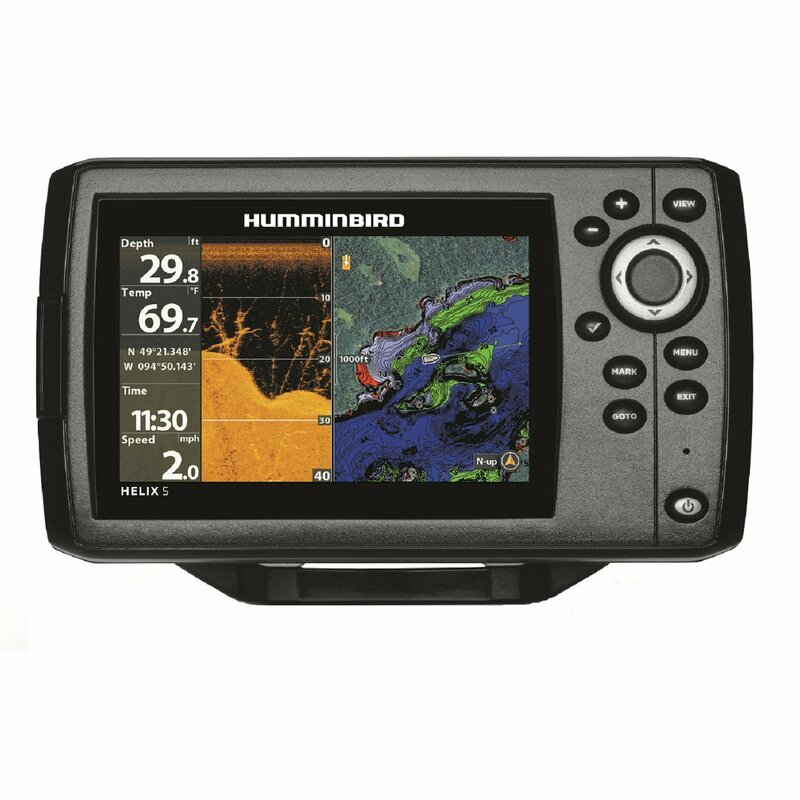 Uniden MHS450 | Our independent unbiased review and more on marine electronics. The Uniden MHS450 is solidly constructed with an aluminum die cast frame partially covered by protective rubber padding. The unit fits well in hand and weighs a tad less than 12 ounces. This Uniden handheld radio ships from the factory with an AC fast charger that will bring an empty battery up to full charge in three hours. Other accessories included are a DC charger cord, wrist strap, and AAA battery case. The standard battery is a 1400 mAH lithium ion unit. Top-mounted volume and squelch control knobs are mounted concentrically on one-side with a jack to connect an external speaker or microphone located along the case centerline. Eight front-mounted pushbuttons control transmitter power selection, channel changing, weather channel selection, quick selection of channel 16 or 9, and all scanning options. The push-to-talk switch is side-mounted. You can select transmitter power to 5, 2.5, or 1 watt. Overall performance of the VHF450 was about average. It managed mostly good ratings for transmitter performance but only earned a fair rating for receive sensitivity. Audio performance was not great either, the unit only managed to put out 88 dBA. We’d rate the MHS450 display screen good. It uses moderately large numbers to display the channel and medium sized letters to list the channel name. The power level selected is displayed onscreen in watts while the battery level is shown with a battery shaped icon. When you transmit the word is displayed across the bottom of the screen. The MHS450 lasted a very respectable 12 hours in our grueling battery life test. It passed both the drop and submersion tests too with no glitches. This Uniden handheld VHF has a 3-year radio and a 12-month battery warranty. Shop for this Uniden handheld VHF here.